As our creative lead, Scott is responsible for the leadership and guidance of our design teams. Scott has established a studio-based design process founded on his belief that we, like our clients, have a deep sense of purpose to contribute to something larger than ourselves. In building, our clients tell a story of the changes in the world they envision. Scott’s focus is to make architecture for each of our clients that embodies the right visual message about identity, values and hope. Beginning at architects Tillmann Ruth Robinson as an intern in 1989, Scott undertook a sabbatical to pursue work outside of the country. Working in Chicago, Anchorage and as far north as the Arctic Circle, Scott developed his belief in the power of our clients and their communities to co-create affirmative environments that make emotional connections. Clients who are passionate advocates for how our buildings make them feel, as much as than how they look, remain for Scott the true measure of success. 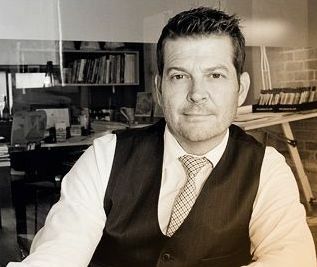 In 2004 he returned to architects Tillmann Ruth Robinson to establish the Toronto office overseeing the design of the Health and Wellness Building at Sault College and is currently working on the Modular Animal Care Facility for the Advanced Medical Research of Canada in Sudbury and the BMO Education and Conference Centre at Toronto Western Hospital. Scott, an active EDAC (Evidence-based Design Accreditation and Certification) member, also heads an office team which maintains an accurate knowledge base on health care and continuum of care research.